"Kevin worked for me remotely across two time zones and the results were fabulous. He is a talented illustrator and flash guru! He took our basic concepts and turned them into more than we imagined. His artistic talents make him an incredible asset and a great value to any project he works on!" "Kevin is an incredible illustrator who helped us design our current AMC KidsPack™ and marketing materials for the campaign, along with many other unique designs and projects. His attention to detail, unique illustration style and willingness to work with clients really sets Kevin apart from the field. I would recommend Kevin to any business that needs design or illustration work." "Kevin has always been extremely passionate about what he does. That passion, combined with his talents, make him an extremely valuable, "go to" type of employee, one I could always count on"
"Kevin is a consummate professional whose precise attention to detail compliments a masterful skill set and boundless imagination." "I’ve worked with Kevin Myers on various projects over the past 20 years and his ability to create mind blowing illustrations never ceases to amaze me. I’d recommend his talents to anyone in the market for top level illustration and design work. " 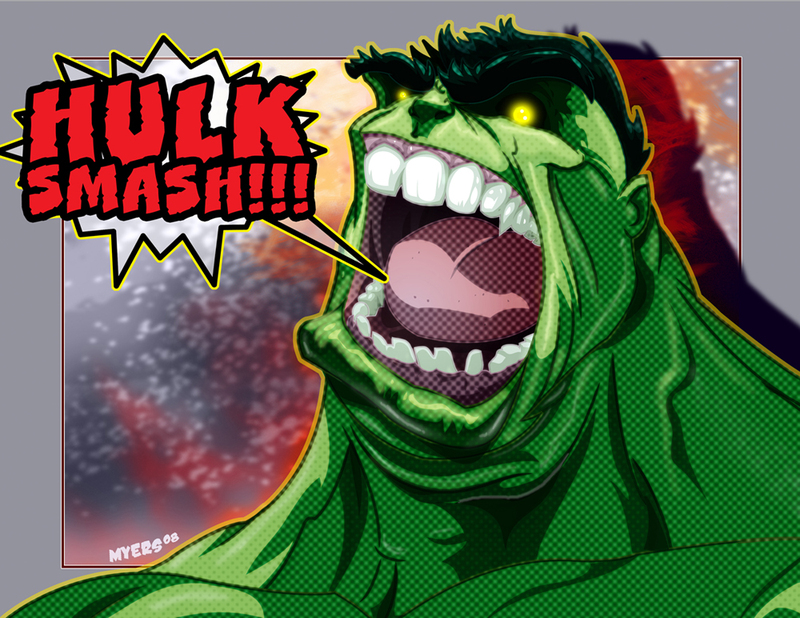 Hey all… well I have seen the new Hulk movie and I really enjoyed it. I have actually seen it 2 times and plan on going with my father to see it again. This version is way better than that last movie, no gamma radiated poodles in this one. Don’t get me wrong there were aspects of the last movie that I liked but overall it just never felt right. This time around I felt that I had actually, finally seen The Hulk in film form. You should check it out if you haven’t already. All artwork © Kevin Myers unless otherwise stated. No use of any artwork on this blog/site may be used without express written consent from Kevin Myers. The Hulk™& © Marvel Comics. All rights reserved. A little character design fun. Okay, so it has been a while since I last posted. Sorry about that gang. But, I have some new art for you and some added pages to my pro art section of my website. If you are a regular to my blog you have already seen most of this art, but I hadn’t added it to my main gallery sections. So I am almost up-to-date. 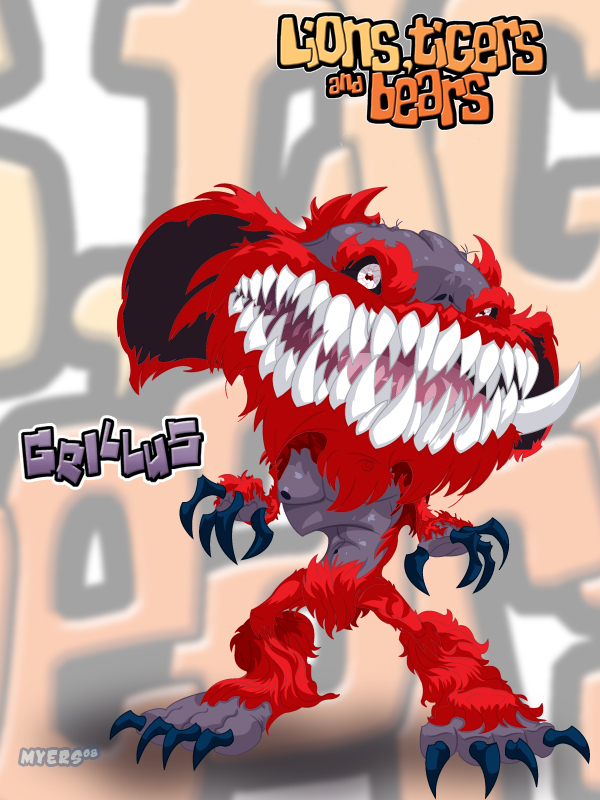 The art below is not really new. I actually worked this guy up last year for RuneMaster Studios kid-friendly comic, Lions, Tigers, and Bears. I am now getting him up here for you to check out. And there is more art on the way. Catch ya soon. 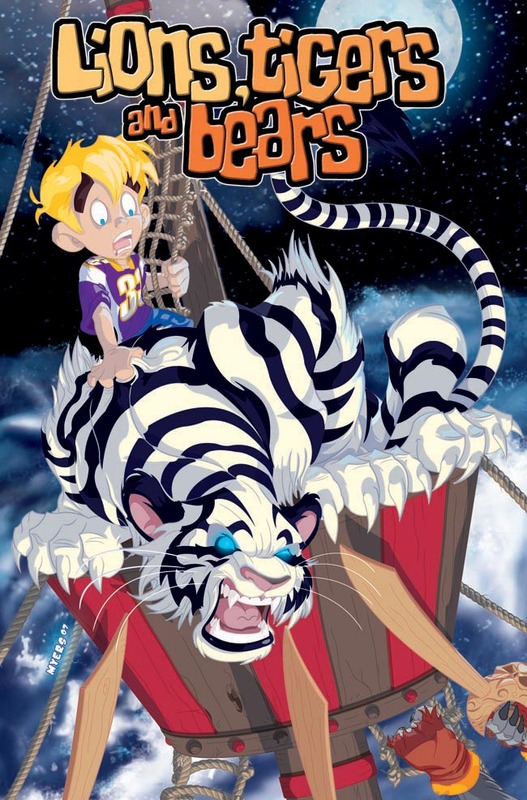 Lions, Tigers, and Bears © Runemaster Studios, Inc.
Well it seems that the cat is out of the bag… in an interview on Newsarama with Mike Bullock of Runemaster studios the creator of Lions, Tigers, and Bears, it was announced that I will be the new Cover artist for LTB volume 3. Well, not really announced but it’s on there… if you look really hard. Mike Bullock posted a comment to the article letting everyone know that I would be the cover artist for LTB. In the article two of my images were featured, the cover below and a character design of one of the new characters in the upcoming series. I will post him up in the next few days so you can check him out. 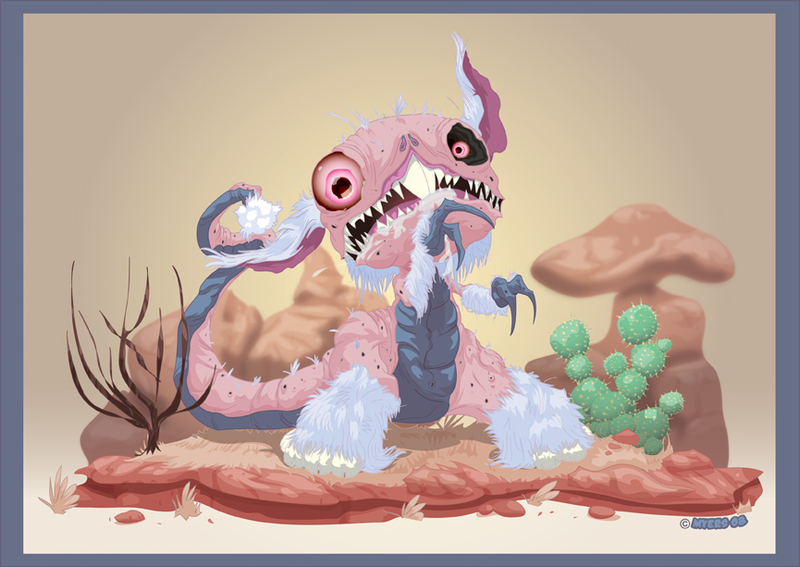 Some sort of monster… maybe a “Rabid Navel Australian Dust Bunny” or maybe not. I keep hearing “Bound, bound, and rebound.” I am not sure why.